Jenney logo. Thanks to Robert Droz who sent this in August, 2003. From a 1950s era road atlas. Donated by Robert Droz. 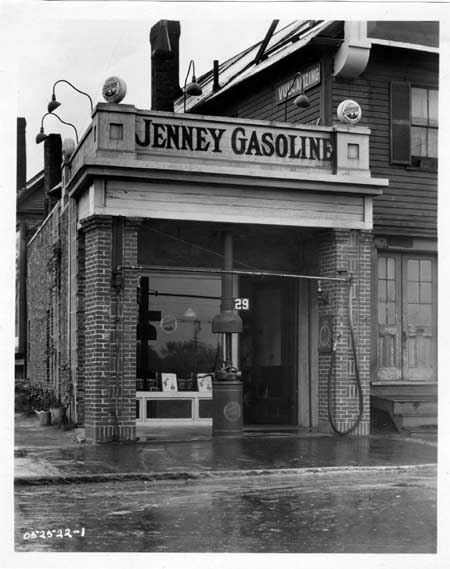 A Jenney station in Watertown, Massachusetts around 1930. Watertown, MA., Feb. 24, 2004.